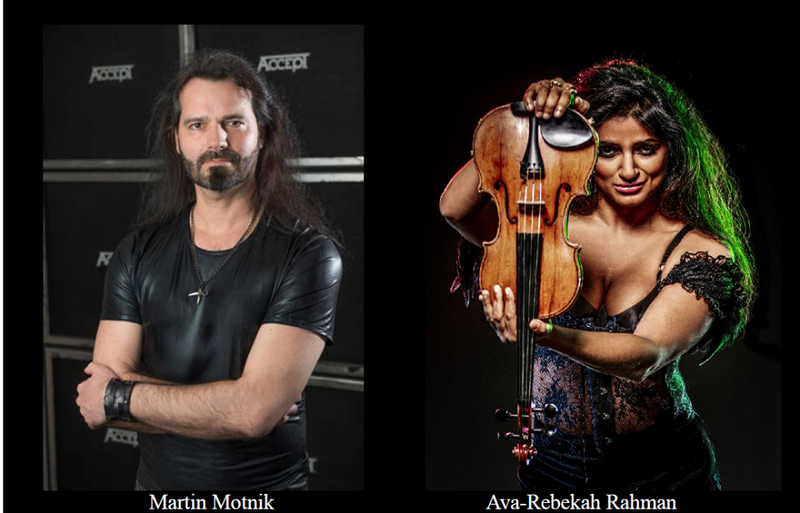 German heavy metal powerhouse, ACCEPT, today announced the addition of Martin Motnik on bass and Ava-Rebekah Rahman on violin as the band prepares to launch the “Symphonic Terror Tour” on April 20th in Wuppertal, Germany. Also joining the Symphonic Terror Tour is Ava-Rebekah Rahman, a descendant of Bengali Royalty and a highly esteemed violinist . Born and raised in England, Rahman is a renowned solo violinist, poet and music educator. She made her solo concert debut at the age of ten at the National Orchestra and has had an illustrious career ever since, having played internationally with the BBC Symphony Orchestra, London Philharmonic Orchestra, Prague Philharmonic and many more. For tickets and more information, go to this location. Symphonic Terror – Live At Wacken is available worldwide here.